In the legendary city of perfume and fine fragrances, Grasse, France, lavender is it's most beautiful composition. 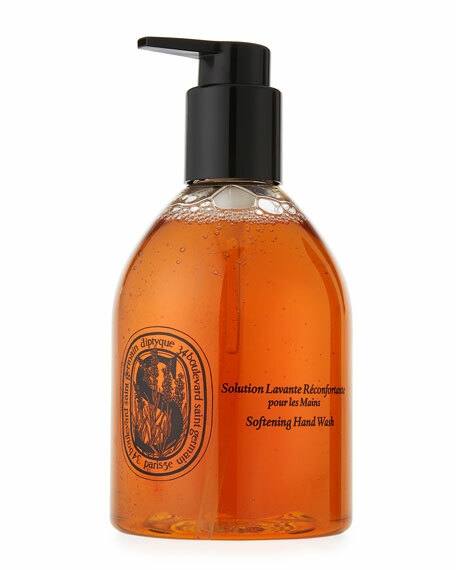 Organic lavender floral water and honey gently cleanse and bring back the natural softness of the hands. Lavender, rosemary, and ylang-ylang combine to make a heartening, aromatic freshness. Lavender floral water (organic) soothes, cleanses, and repairs. Rosemary floral water (organic) cleanses. Lavender honey, rich in minerals and fatty acids, moisturizes the skin. Antica Farmacista Fig Leaf Hand Wash, 10 oz.